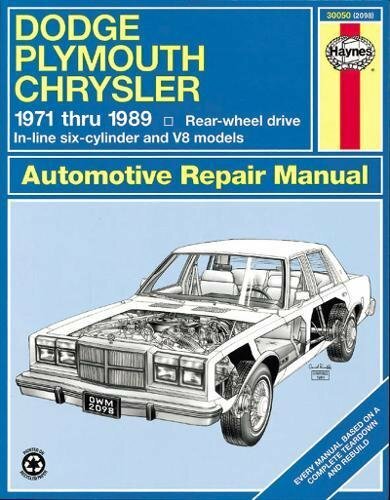 Product Description: Haynes repair manuals are used by the pros, but written for the do-it-yourselfer. This book does not cover 426 (Hemi) engines, 3x2 bbl. carburetor setups (six pack), fuel injection or front-wheel drive models.